Director Hamish Pirie is rehearsing a tense family encounter in Goats, a new play by Syrian writer Liwaa Yazji that opens shortly at London’s Royal Court Theatre. Bounding over to the cast, he fills the off-site Jerwood Space rehearsal room with his thoughts about different gestures, positions and motivations. “He doesn’t fear trying things to the maximum,” says Yazji from the back of the room, after she finishes answering Pirie’s questions about Syrian culture as he deliberates how best to portray the escalating family conflict behind Goats. 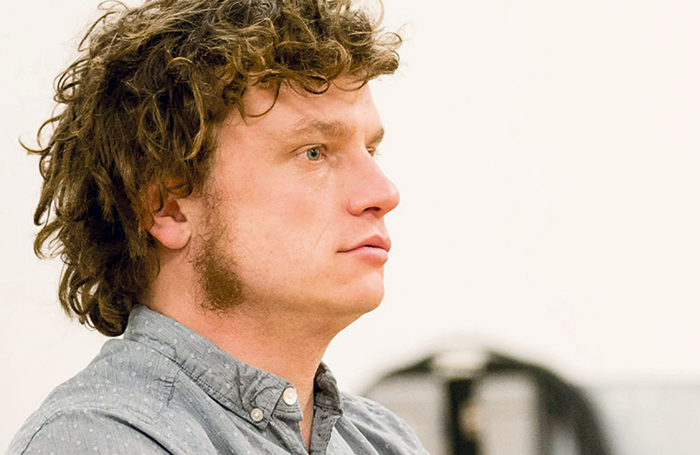 Pirie – who’s been an associate director at the Royal Court since 2013 – is restlessly energetic and irresistibly enthusiastic. His thoughts about Goats and his career are punctuated by crackling ideas, table-banging and explosive laughter. He’s in his element at the Royal Court, praising its “amazing infrastructure” and its strong sense of purpose as an institution both in the world and dedicated to reflecting it. He attributes this to artistic director Vicky Featherstone’s “openness and desire to make theatre for a reason”. Pirie is also full of praise for Featherstone’s leadership and the Royal Court’s response in the wake of the sexual harassment and abuse allegations emerging across the industry. 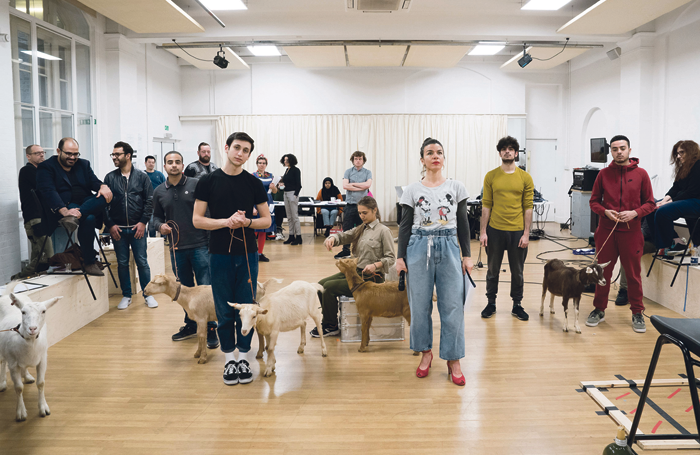 Returning to the rehearsal room we’re meeting in, Pirie says Goats is a play about the gap between propaganda and reality in a Syrian village loyal to President Assad’s regime during the war. As unrest rises along with the death toll, the local party leader compensates grieving families with a goat per ‘martyr’. Goats is part of the Royal Court’s long-term project with writers from Syria and Lebanon. It began as a rehearsed reading last year and was workshopped by Pirie and Yazji this May. What was your first non-theatre job? Dishwasher at a hotel. The chefs taught me how to eat the lobsters when customers hadn’t managed to crack the shells. I ate them with chips while washing the dishes. What was your first professional theatre job? Assistant director on Kismet (London’s Arcola Theatre, 2003). What’s your next job?A community project in Tottenham, as part of the Royal Court’s three-year residency initiative, Beyond the Court. What do you wish someone had told you when you were starting out? Don’t apologise for yourself. Who or what was your biggest influence? Artists like Francis Bacon and the people around me. What’s your best advice for starting out? Make the work that you want to make, not what you think everyone else wants. Find out how you direct – there is no right or wrong way. If you hadn’t been a director, what would you have been? For ages I wanted to be an agronomist – someone who tests soil and advises farmers on how to develop their crops. A friend’s mum did that. It sounded like the best thing, because you got to drive around and speak to people. Pirie welcomed the lengthy lead-in time on Goats, which included a trip to Lebanon. It has been important to him to absorb as much of the detail of Syrian and Middle-Eastern life, so it can play itself out as an undercurrent in his production. Goats has its own internal world, but Pirie wants to avoid “lazily” giving British audiences the standard visual tropes of Syria, as shaped by Western media. “If one cliche lands, our minds do the rest,” he says. With every onstage element, his goal is a balance between symbolism and an awareness of real life. “Everything an actor touches is a real version of something,” Pirie says vigorously. Defying the saying ‘never work with animals or children’, this production will feature live goats. Pirie quickly realised the goats had to be there, exactly as set down by Yazji in her script. He couldn’t beat their presence as a metaphor for the play’s themes about the effect of war on society. “It’s the best bit of symbolism in the world,” he says. Practically, “it’s been a delightful nightmare,” he laughs. The Royal Court, in consultation with the RSPCA, has created an animal welfare policy. An extra day of tech has been added to help Goats’ four-legged stars get comfortable. There will also be a hole at the rear of the wipe-clean set for goat poo. Besides, Pirie observes, ‘rule-breaking’ doesn’t apply in the same way to a younger film-loving generation, who grew up with the baby crawling on the ceiling in Trainspotting. “We forget how dangerous film is about form,” he says. He wants theatre that is accessible to cinema lovers. 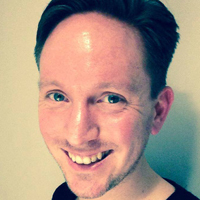 A twinned love of new writing and challenging convention threads through Pirie’s career, from his days as an assistant director at touring company Paines Plough (when Featherstone was in charge), to his previous job as associate director at Scotland’s Traverse Theatre. 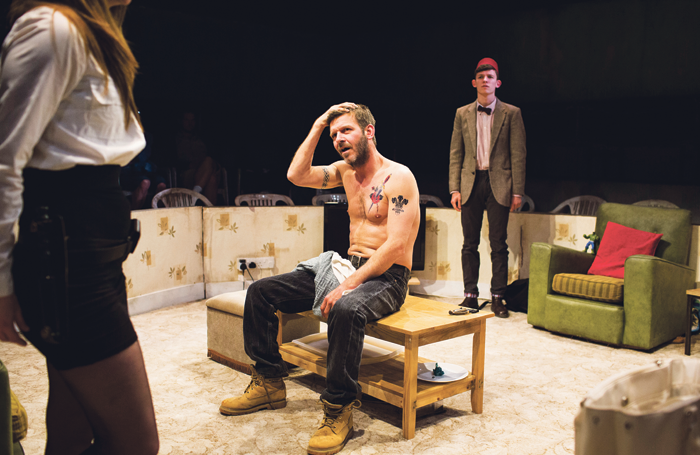 Paines Plough taught Pirie “about writing and form – and about how to make theatre for an outside audience”. Breaking out of traditional spaces is still important to him. “I grew up in the Fens, so that’s a big thing,” he says. “That’s why things like [the Royal Court’s outreach programme] Beyond the Court are so great.” He’ll follow Goats with a community project. The Traverse dropped Pirie into a “front-footed” Scottish theatre community that, to him, excelled at producing writing that was creative “without being fancy”. And when he arrived in 2012, “there was a sense there weren’t the same rules as in London [at the time],” he says. Pirie relished how creative roles weren’t “as boxed in”. 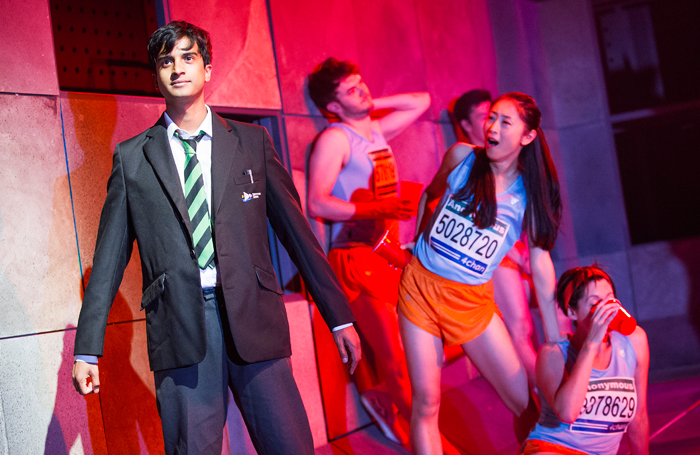 It’s influenced his close artistic collaborations since, with designers like Rosie Elnile on Goats or Chloe Lamford on such plays as Tim Price’s Teh Internet Is Serious Business (Royal Court, 2014), with its ball-pit and splash of colours.